Click to see our Spain buying guide. The province of Valencia is in the east of Spain. 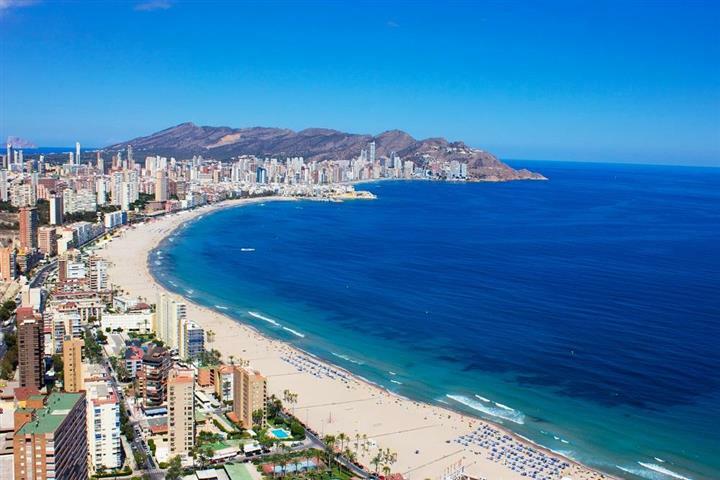 Located between sea and mountain, the region has more than 200 kilometres of beaches on the very famous Costa Blanca. Property in Valencia is developing fast. The coast has plenty of apartments to offer like in Benidorm or Torrevieja. You will also find magnificent houses for sale on the Costa Blanca, with breath-taking views. One more reason to look for a house for sale in Valencia: it is the region for Paella and the syrupy wine of Alicante! Located in the south of Spain, Andalousia offers magnificent landscapes. Fine sandy beaches and olive groves as far as the eye can see, sheltered creeks on the Costa de la Luz, the rolling hills of the Sierra Nevada, or small fishing villages with white houses, there is something for all tastes. Once under muslim rulership, this is a rich land, shaped by the mix of cultures that have influenced it. This is also visible in the property in Andalousia. If you like golf, choose an apartment for sale in Malaga, now well known as one of the capitals of European golf. 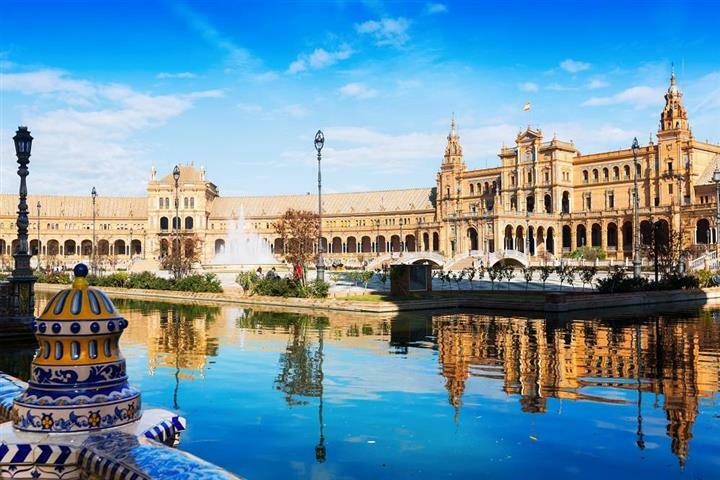 If on the other hand, you like the passion of the flamencos, the ferias and the tapas, you will certainly prefer a house for sale in Sevilla, or in the old town of Cadiz. You will certainly fall in love with this region for the warm good heartedness of its inhabitants! Catalonia is above all the region of Barcelona and the magnificent Costa Brava, but also the Catalonian Pyrenees in the back country. It is a province loaded with history and art, where one can see famous works signed by Gaudi, Dali, or Picasso and buildings like the Sagrada Familia and the Poblet Monastery which have all given Catalonia its world wide reputation. Property in Catalonia is still affordable: apartments for sale in Barcelona, villas in Salou, houses in Cadacès or Tossa de Mar, anything is possible and at a limited budget. So what are you waiting for to make your property purchase on the most sought after coastline in Spain? The Canaries are an archipelago comprising 7 volcanic islands in the Atlantic Ocean, off the Moroccan coast. Well known for the preserved marine life and countryside (the islands shelter 5 nature reserves), the Canaries are also a destination for wind surfers. As to Canary Island property, it is still affordable after prices dropped in 2009. You will find there all types of property: apartments for sale in Lanzarote or Gran Canaria, houses in the small colonial towns of Tenerife, or fishermans' houses in the small coastal villages and ports of Fuerteventura. And do not miss, for any reason, the grand carnaval of Santa Cruz in February! Located between Andalousia and the province of Valence, the province of Murcia is not as well known as its neighbours. It has however, an outstanding asset: it is one of the sunniest areas in Europe. It offers spectacular landscapes: small villages, long, fine sand beaches on the Costa Calida, but also western style cowboy decors in the back country. Property in Murcia is varied: apartments with sea views in San Pedro del Pinatar, coastal villas in San Javier, or maybe you will feel tempted by the charm of the houses in the village of Aguilas. Worth noting: the province is very well known for its spa resorts with healing mud treatments! The Balearic Islands are in the Mediterranean, just two hours from most European capitals by plane. With their reputation for well preserved countryside, the Balearic Islands offer magnificent landscapes, varying from lovely creeks with turquoise water to mountains with winding pathways for the more energetic visitors. Partygoers will not feel left out, with the famous Ibiza, queen of the night, with appearances from artists from all over the world. Property in the Balearic Islands is varied and you will find apartments there with sea views in the small coastal villages, or character houses to renovate in Cuitadella or Mahon on Minorca for example. So would you prefer to buy a house in Minorca, or an apartment on the hilltops of Ibiza? Toledo The numerous windmills that dot the great plains of La Mancha evoke immediately our childhood memories of Don Quixote. But Castile-la-Mancha is also a region with a rich cultural past where the imprint of the different languages, religions and cultures coexisted for several centuries. What a lot of wonders to discover: splendid Toledo overlooking the Tagus or Cuenca, a remarkable medieval city perched on the side of a cliff, to name but a few. The property market in Castile-la-Mancha has many apartments for sale and houses of all kinds: farmhouses, village houses or houses with swimming pool. As the prices are very reasonable you will be spoilt for choice. It is just up to you to decide which corner of this attractive region you want to put down your suitcases.